An al-Qaeda-linked group has claimed responsibility for twin blasts near holy shrines frequented by Shiites in the Syrian capital Damascus that killed at least 40 people. The Levant Liberation Committee said in a statement Sunday that the attack was carried out by two of its suicide attackers, claiming that they targeted pro-Iranian and pro-government militiamen. Saturday’s attack also wounded over 100, most of them Iraqis, according to Syrian and Iraqi officials. The al-Qaida-linked group said the blasts were a message to Iran — a main backer of Syrian President Bashar Assad. Turkish ministers have been forced out of Holland sparking mass riots on the streets of Rotterdam as protesters and police became embroiled in violent clashes. Water cannons were fired at demonstrators in an attempt to control the crowds who were seen to be kicking police officers on the ground as well as throwing stones and metal railings. The ugly scenes were in reaction to two Turkish ministers being blocked from entering the country by officials, which prompted Tayyip Erdogan to label the Dutch ‘Nazi remnants and fascists’. Damascus has reacted harshly to the bombing of Kurdish militias in northern Syria on Thursday morning by Turkey’s air force, vowing to intervene next time Ankara sends its planes over its border. “Any attempt to once again breach Syrian airspace by Turkish war planes will be dealt with and they will be brought down by all means available,” warned Damascus, whose planes, which have flown in concert with a Russian expeditionary force, have been avoiding direct confrontation with unauthorized NATO jets. Turkish artillery guns have been firing at Kurdish militias, who are now fighting against Ankara-backed rebels over territory won back from Islamic State in northern Turkey on Wednesday. Turkey said that the airstrikes took out up to 200 Kurds, though the YPG, the Kurdish militia, initially put its losses at 15. Russia has launched a modernization project of it’s naval facility in the Syrian port city of Tartus. According to the head of the Federation Council Committee on Defense and Security Viktor Ozerov, the plans were presented during a visit of Russian senators to the base in October 2016. The work is expected to include extra piers and structures to facilitate naval logistics vessels and warships. In January this year, Russia and Syria signed an agreement to expand the territory of the Russian naval facility in Tartous. The signed document refers to an agreement of 49 years. The agreement also makes provisions for free use of the territory – officially Russian – with conditions of immunity from the jurisdiction of the Syrian state. As the destination of much of Russia’s manpower in Syria — the Russian naval supply route from the Black Sea Fleet headquarters in Sevastopol — Tartus has long served as a kind of beachhead for Russian arms and equipment deliveries to Syria. Tartus has been an entry point for Russian arms deliveries to Syria since 1971, when it was leased to Moscow, but the base was doubly significant for serving as a home away from home for the Soviet Mediterranean flotilla. Iran smuggling soldiers and military equipment to battle zones on civilian flights to Syria and Yemen. The Iranian security agencies are secretly transferring soldiers, wounded and dead soldiers and ammunition from the battle sectors in Syria and Yemen via civilian flights. This according to a report by an Iranian military official belonging to the Islamic Revolutionary Guard Corps. These smuggling activities were reported by the official on the anti-government “Amed News” site and were translated and published by the MEMRI institute which tracks media outlets in the Middle East. According to the reports, the flights by the Iranian airline Mahan Air to Damascus in Syria and Sana’a in Yemen are utilized for transporting large quantities of ammunition in the cargo department which are then sent to battle zones. The same official reported that one of these airliners, whose cargo hold was packed with weapons, attempted to land at Sana’a but was threatened by two Saudi bombers, and that due to the bombing of the Sana’a airport, it was unable to unload the military cargo in question. Apparently this is a reference to an event that took place on May 3, 2015, when two Saudi bombers escorted an Iranian airliner and prevented it from landing in Yemen by bombing the Sana’a airport. Iran claimed the airliner was loaded with aid including food and drugs, but this senior military source said it was actually transporting weapons for the Houthis. Though OPEC has managed to achieve a high standard of compliance, it has mostly been due to the oversized cut by the largest member of the group—Saudi Arabia. Meanwhile, the actions and statements of the second and third largest producers in OPEC are throwing worrying signs at the oil bulls. As the defacto leader of OPEC, Saudi Arabia is left to implement most of the production cuts to ensure a high level of overall group compliance. Saudis know that OPEC might not get another chance if it doesn’t adhere to its production cuts. Another reason is the forthcoming IPO of Saudi Aramco. Without higher oil prices, Saudi Arabia might not get the valuation it is expecting for its crown jewel. Aramco’s successful listing is vital for reaching Saudi Arabia’s ‘Vision 2030’ objective. However, two OPEC members, Iran and Iraq, are exploiting Saudi Arabia’s precarious position by taking steps to boost production. The Kingdom will have to contend with increased production from Iran and Iraq, along with tackling the U.S. shale oil producers. According to the IEA, Iraq will increase its output to 5.4 million barrels per day by 2022, which is significantly higher than the earlier estimates of an increase to 4.6 million bpd by 2021. Similarly, Iran is expected to boost production by 400,000 bpd to reach 4.15 million bpd production in 2022. The Iraqi Oil Ministry and the Iranian Oil Ministry have signed a memorandum of understanding to bury their differences on joint oil fields and build a pipeline to export crude oil from the Kirkuk fields, in the north of Iraq, through Iran, reported the Al Monitor. Iraq, which produced 4.47 million bpd in January, well above its quota of 4.35 million bpd, is capable of raising its output to 5 million bpd in the second half of this year, said Iraq’s Minister of Oil, Jabbar Ali Al-Luiebi. “We achieved this great achievement of 4 million barrels per day … middle of 2016, and now we have climbed up and we are reaching about 5 million barrels per day beginning of second half of this year,” Al-Luaibi said during an interview at CERA Week by IHS Markit, reports CNBC. BERLIN — Europe’s most populous and economically powerful country can easily afford to spend more on its military defense, as NATO requires and President Trump demands. Yet Germany, still haunted by the horrors of World War II, simply doesn’t want to do that. Even in today’s dangerous world, Germany is a largely pacifist nation, security analysts say. The world’s fourth-largest economy spent $37 billion — 1.2% of its economic output — on defense last year, according to government figures. That is far short of the 2% set by NATO and a third of the 3.6% of gross domestic product that the United States spent in 2016, according to NATO figures. Four attackers on motorcycle attacked on Sunday a security checkpoint in the southern Tunisian city of Kebili, killing one guard, according to the country’s interior ministry. Two attackers were killed in the ensuing shootout. Tunisian authorities said the attack took place early Sunday at around 00.40 local time. “There was a terrorist attack on a checkpoint just outside Kebili. Four alleged terrorists on two motorcycles that were armed with explosives arrived on the scene. They killed one of the security agents. There were only three of them present manning the checkpoint,” Sarah Souli, a freelance journalist in Tunis, told FRANCE 24. Two attackers out of four were then killed by security forces. A third attacker was wounded and is now in hospital. The fourth one managed to escape, according to Tunisian authorities. Peshmerga military units related to the Kurdish National Council (ENKS) are trained by NATO and United States-led international coalition instructors to fight against Daesh terrorists, council representative Kawa Azizi said. According to Azizi, all operational costs for Peshmerga forces are paid by the government of Iraqi Kurdistan. The ENKS is a Syrian Kurdish political organization established in 2011, under the sponsorship of the regional government of Iraqi Kurdistan. The so-called Rojava Peshmerga group is a paramilitary wing of the ENKS. The group, reportedly of 6,000 fighters, is affiliated with Turkey which allegedly trained and funded the Rojava Pashmergas to fight against the Democratic Union Party (PYD), the biggest Kurdish party in Syria. Azizi said that NATO training programs for Peshmerga forces are carried out in northern Iraq. A fierce battle for control of Libya’s oil ports is raging this weekend as worried American officials claim that Russia is trying to “do a Syria” in the country, supporting the eastern strongman Khalifa Haftar in an attempt to control its main source of wealth. The fighting between Haftar’s forces and militias from western Libya is focused on Sidra, Libya’s biggest oil port, and nearby Ras Lanuf, its key refinery. Together they form the gateway to the vast Oil Crescent, a series of oilfields stretching hundreds of miles through the Sahara containing Africa’s largest reserves. Haftar’s forces have launched airstrikes against militias around the oil ports themselves, with social media showing pictures of corpses and burning vehicles. No casualty figures have yet been released. On the day of North Korea’s first atomic test in 2006, aides to President George W. Bush began phoning foreign capitals to reassure allies startled by Pyongyang’s surprising feat. The test, aides said, had been mostly a failure: a botched, 1-kiloton cry for attention from a regime that had no warheads or reliable delivery systems and would never be allowed to obtain them. A decade later, that confidence has all but evaporated. After a week in which Pyongyang successfully lobbed four intermediate-range missiles into the Sea of Japan, U.S. officials are no longer seeing North Korea’s weapons tests as amateurish, attention-grabbing provocations. Instead, they are viewed as evidence of a rapidly growing threat – and one that increasingly defies solution. Over the past year, technological advances in North Korea’s nuclear and missile programs have dramatically raised the stakes in the years-long standoff between the United States and the reclusive communist regime, according to current and former U.S. officials and Korea experts. Pyongyang’s growing arsenal has rattled key U.S. allies and spurred efforts by all sides to develop new first-strike capabilities, increasing the risk that a simple mistake could trigger a devastating regional war, the analysts said. A Taipei court on Friday ordered that a Chinese spy, who previously studied in Taiwan for years, be detained and held incommunicado. According to state-run Central News Agency (CNA), the Chinese man, surnamed Zhou, is the first case of a visiting student turned spy. It noted that he studied at Taiwan’s National Chengchi University from 2012 to 2016. According to the court, Zhou is suspected of violating the national security law for building networks and gathering confidential information from several government units and schools. Katharine Chang, minister of the Mainland Affairs Council, Taiwan’s top China policy body, said that the policy of admitting visiting Chinese students will not change. “However, we strongly urge Chinese students studying here not to violate laws,’’ Chang warned. 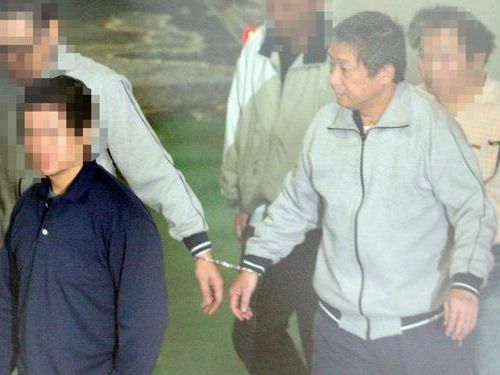 TAIPEI (Taiwan News) – A former Air Force officer who was once involved in a direct confrontation with China was charged Tuesday with passing on military secrets to a Chinese agent. Retired Colonel Ko Chi-hsien (葛季賢) and Lieutenant Colonel Lou Wen-ching (樓文卿) were recruited into the spy ring set up by former People’s Liberation Army Captain Zhen Xiaojiang (鎮小江), who was sentenced to four years in prison last year, prosecutors said. Zhen traveled to Taiwan as a tourist and contacted serving and retired military officers whom he offered trips to Southeast Asia and other enticements in return for secrets, investigators said. The Taipei District Prosecutors Office said Tuesday it was indicting Ko and Lou for leaking secrets under military law, though it did not specify which kind of confidential information had been passed on. In 1990, Ko was one of four F-104G pilots involved in a tense confrontation with Chinese fighters over the Taiwan Straits, the Chinese-language Apple Daily reported Tuesday.